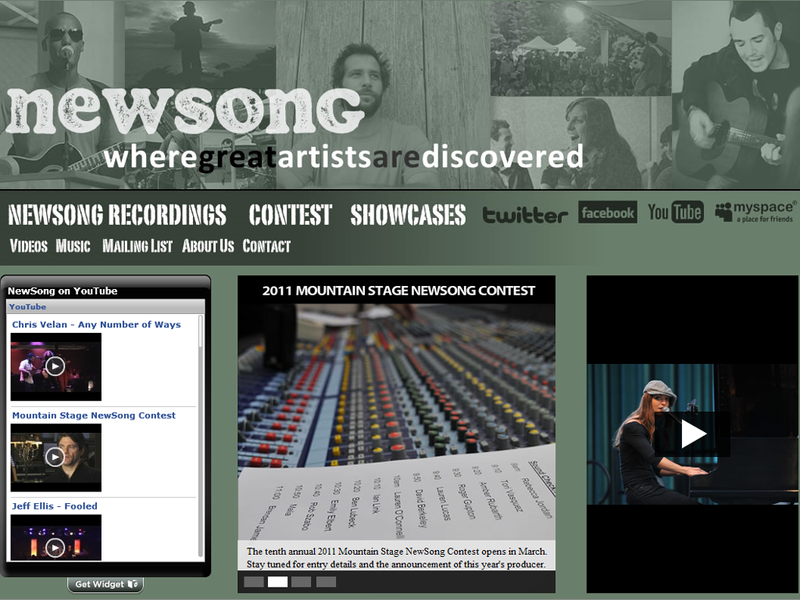 NewSong, an independent music organization, asked us to create brand awareness for their 9th annual contest: a promotion to record an EP with Grammy-award winning producer Jacquire King (Kings of Leon, Norah Jones). Imagistic delivered an integrated online campaign strategy consisting of SEM, microsites, and social media cross-promotion in just six weeks. Expanded social media channels by targeting songwriters on Facebook. NewSong is an independent music organization with the following two-fold mission: To build a supportive community of performers and songwriters across all genres of music and levels of skill and to identify the truly exceptional artists within this community and to work closely with them to develop their careers and introduce their music to a broader, international audience.